I bought 4 of these from KVAR a while back and never used em. They've been sitting in a closet for awhile, so out they go. 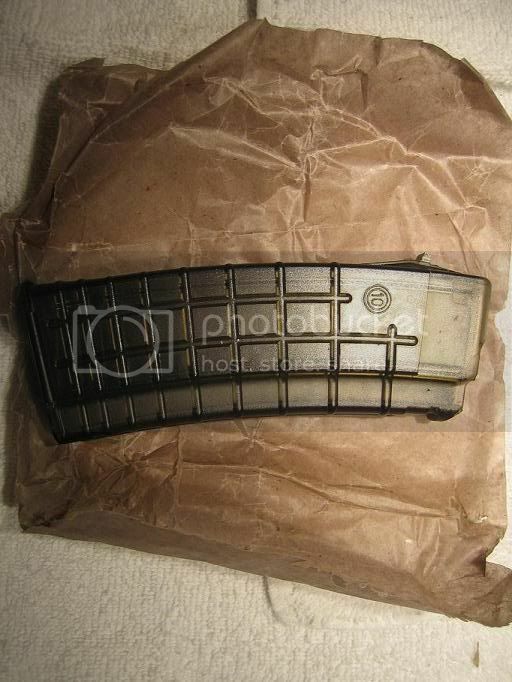 Still in the oilpaper they ship them in, I unwrapped one to look at it, but I don't have a 5.56 AK so I never used them. Oh, and if you are in a banned state, don't bother to order. I have some pics, but they're the same circle 10 mags on the K-Var site. I'll try to get them up tomorrow, email me if you are curious. Buyer pays by USPS money order. i'll take 1. I have pm'd u.